It started with an email that Stranahan's Colorado Whiskey was hitting the shelves in Texas. The excitement of this announcement became the brainchild something much bigger. Where can friends take information only relatable or interesting among their circle and publish it for the whole world to access via Google search? The Weblog. Blogs, as my five minute internet research uncovered, began sometime in the mid-nineties and numbered only in the few dozen by the end of the century. The term "Blog" is often attributed to Jorn Barger of RobotWisdom.com, who is to blog invention as Al Gore is to the Internet. Fast forward another decade and everybody and their dog have a blog. While they are reviled by mainstream media and The Man for being unprofessional and pedestrian, the Internet is filled with good to great blogs written by people that have not chosen the career path of a journalist. By golly, I believe bloggers should be judged not by the signature on our paychecks, but rather the content and format of our respective hobbyhorses. This is not the dream, but the reality in 2009. 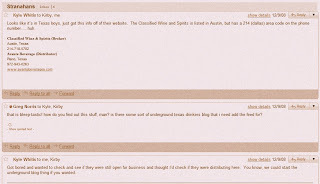 On April 6, 2009, TheFerm.org opened the proverbial door with the promise to be different that the conventional review or local happenings adult beverage-related blog. The honeymoon that followed the nebulous mission statement of our first post should prove to shape the course of The Ferm for years to come. It is on this day, July 14, 2009, we mark our One Hundred Day Anniversary. In the face of the adversity of the Great Depression in 1933, Franklin D. Roosevelt used the first three months of his Presidency to lay the foundations of his New Deal. Since then, this artificial yardstick has been used to gauge the success of every President that followed. To commemorate our first one hundred days, I would like to reflect on our accomplishments. During the first one hundred days, we delivered thirty-seven posts, which is about one post every 2.7 days. Our first month was our most prolific, with each month trailing off a bit. Maybe the decline can be attributed to a backlog of ideas... or maybe we are getting lazy. 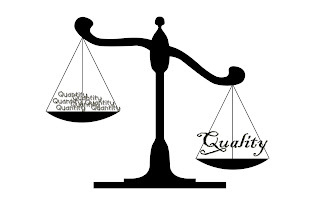 At any rate, critical to the long term success of a product is quality, not quantity. Posts such as "Pot? No But Close", "Minute Maid Park Shenanigans" (Parts 1, 2, and 3), and "1560 The Beer" no doubt made incalculable impressions visitors of all ages (over 21). Aside from exhaustive statistics, there are other objective ways to evaluate our performance during the first one hundred days. Being that my first post walked the line between vagueness and specifics, let's revisit key promises in The Ferm's platform. We have provided easy access to our RSS, bookmarking tools, and our Twitter feed (tweets avg'ing about 1.7/day) via the homepage. We appropriately namedrop when we think it will make us sound cool (or to shamelessly optimize search engine traffic). We respectfully paid tribute to the under appreciated Bea Arthur while (for the moment) avoiding the overrated accomplishments of Farrah Fawcett (*ducks*). We recapped drinking events (Beer Wars, here and here... SAVOR) and even international breweries and wineries (seriously, do you *really* consider Hawaii part of the U.S.?). We live blogged a homebrewing day and a baseball telecast. We held an epic Anything Mock Draught. We delivered on our promise to write about mostly nothing. We even slipped in a little rhyme just to show off. Franklin D. Roosevelt once said "The test of our progress is not whether we add more to the abundance of those who have much; it is whether we provide enough for those who have too little." If by "those who have too much" he meant The Man, by "provide" he meant write blog posts, and by "those who have too little" he meant people that surf the web at work, I personally believe that we are following through with the roadmap for America left by FDR. Every journey starts with a single step. Roosevelt got fifteen major bills through Congress in his first one hundred days. Not counting this recap, we got thirty-seven posts under our belt in our first one hundred days. I'll let the reader make his own open-minded comparisons, but I would like to place into evidence that many of FDR's programs were later undone. As of today, we have received no C & D orders for anything published. Just saying.